Genre: Historical Fiction and Sci Fi! 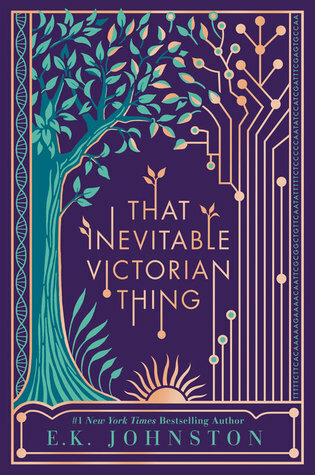 Set in a near-future world where the British Empire never fell and the United States never rose, That Inevitable Victorian Thing is a surprising, delightful, and thought-provoking novel of love, duty, and the forces that change the world. mother before her, but before she does her duty, she'll have one summer incognito in a far corner of empire. In Canada, she meets Helena Marcus, daughter of one of the empire's greatest placement geneticists, and August O'Brien, the son and heir apparent to a powerful shipping firm currently besieged by American pirates. In a summer of high-society debutante balls, politically charged tea parties, and romantic country dances, Margaret, Helena, and August discover they share an unusual bond and maybe a one in a million chance to have what they want and to change the world in the process--just like the first Victoria.